Investigating President Trump’s nomination for the Supreme Court, Judge Brett Kavanaugh brought back memories of law school and a nettlesome problem I observed in America. 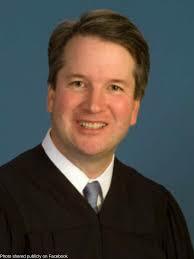 Here’s how I came to believe a Justice Kavanaugh will be good for America. As part of being on law review all members write a piece called a “note”. It’s not an “article” since it’s a piece being written by a law student, not a lawyer. The note is submitted to the editors. The best notes (in the judgment of the editors) are selected for publication in the law school’s journal. The “note” I wrote was not selected for publication. It was on a subject certainly not on the cutting edge of the law. 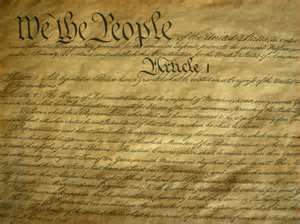 My note was about what I saw as a great problem, the abdication of Congress to make laws as commanded by the Constitution. Before 1935 and FDR’s New Deal, the Supreme Court had enforced the “non-delegation” doctrine and limited congressional attempts to give law making authority to the executive. After 1935 the Court largely allowed Congress to go on a binge of creating the alphabet soup of federal agencies that now make “rules” for just about everything in life. My note decried this development and basically said there was no constitutional authority for how we were being governed. As this development had become part of American life, my note got no traction and was never published. It’s dusty and moldy in the basement now. Perhaps had I been able to state the idea behind American government as Judge Kavanaugh in his dissent in United States Telecom Association V. Federal Communications Commission And United States Of America I might have had more luck. Judge Kavanaugh goes on to explain, in the simplest of terms, why the legislative authority belongs with Congress and why the FCC did not have the authority to simply make up “net neutrality” rules. While his opinion works within the confines of how the law has developed since 1935, it was clear he was driven by a commitment to the Constitution. In the end, he said it was up to Congress to pass laws, not executive agencies. Judge Kavanaugh so reminded me of what I wanted to say over 30 years ago. He said it so much better and impressed me with his devotion to the written Constitution. As Justice Kavanaugh, I am confident he will do his best to have Congress pass laws, the Executive execute them and the judiciary apply them. I am equally confident that along the way he will educate Americans on how that system is the best yet devised to act as the great safeguard of our liberty.